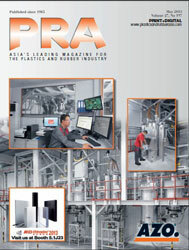 During the past decade, the plastics converting industry has been characterised by a shift in global production structures, with China significantly increasing its share of world sales, said Dr. Oliver Möllenstädt, Executive Director GKV, German Association of Plastics Converters, speaking at a K2016 preview in Düsseldorf, Germany, recently. 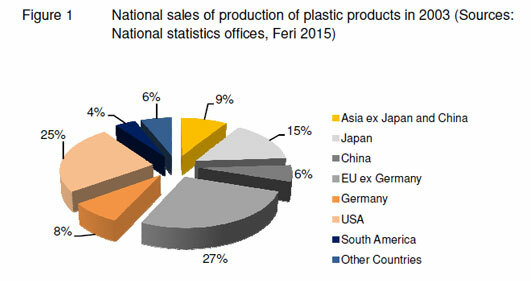 The reasons for the shift in the focus of the plastics converting in the world are a strong expansion of production capacity in the emerging markets as well as little dynamic economic development in the European Union, he said. Despite declining growth rates in China, an average annual growth of 10% is forecasted for plastics converting in Asia for the next ten years. The Asian market growth is higher than Europe and North America (3 or 2% growth). 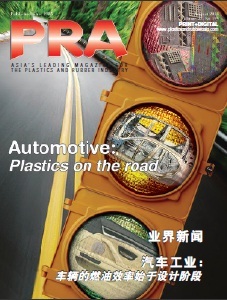 China has replaced the European Union as the world's most important location for the plastics converting with respect to the quantity processed, said Möllenstädt, adding that this was due to progressive industrialisation, strong growth in the construction sector and private consumption. 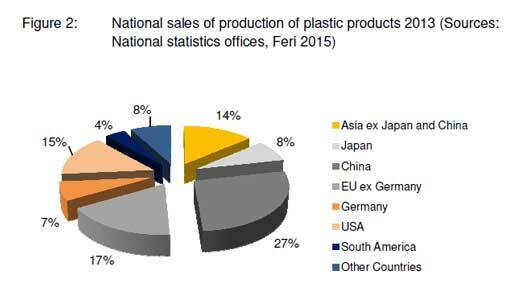 The plastics converting industry in Germany with an annual turnover of EUR59.8 billion in 2015 and 316,000 employees in 2,853 enterprises is one of the most important economic sectors in Germany, it was noted. Sectors comprise packaging, building/construction, technical parts, semi-finished products, consumer goods and other products. He also highlighted important trends as lightweighting and material savings in vehicles and aircraft mobility; the trend towards a circular economy; additive manufacturing and digitisation of the industry.